Something I most certainly missed during my time in the deep south was the one and only. Avocado. a.k.a the Alligator Pear. This odd-shaped fruit consists of a rough leathery skin that encompasses a smooth, luscious lime green flesh. They are also named ‘Food of the Gods’ due to being rich in antioxidant properties, vitamins, minerals and carotenoids. Their creamy consistency mean they can and should be consumed throughout life. Ideal as a 1st food for babies, and perfect to retain good health as we age. The avocado has, is and always will be a crucial ingredient to delight my palate, and lets hope it will never have to end. Residing in the Bay of Plenty means that I am blessed with plenty of heavenly avocados. So many so, that they often tend to overfill our fruit bowl. Unfortunately I have the tough task of devouring these beauties day in, day out. Poor me! On toast, in salad, as guacomole, in a salsa, on crackers. You name it. I’ll eat it. The luscious lime green oily flesh is full of mono and polyunsaturated fats, which basically means the best ones! So it’s the perfect replacement for butter or margarine, and has even been scientifically proven to help aid weight-loss, lower cholesterol and treat Diabetes. Not bad considering it has a heart of stone (the big rock like sphere inside never ceases to amaze me). 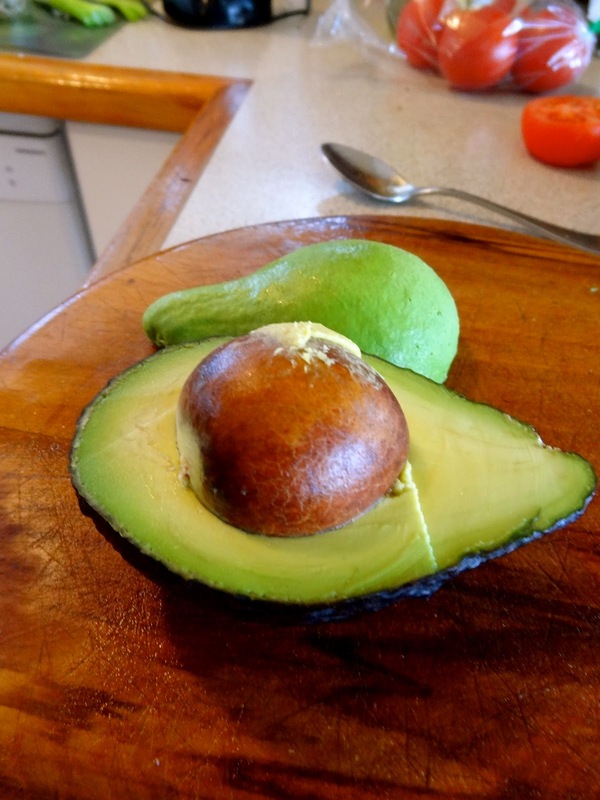 Recently I have endeavored to utilize our excessive supply of ripe avocado flesh by using it in baking, and have been surprised with my success. A great friend with a flourishing avocado orchard let me roam free through her trees to collect a bunch of the leftover goodies. So I began. To start: An avocado butter-cream. Ingredients: avocado, icing sugar, lemon juice and vanilla bean paste. That was it. And it was delicious. Avocado buttercream: green with envy? Next on my list was a Brownie recipe using avocado in place of butter. A lovely lady at the Tauranga Farmers Market inspired me for this one. She used avocado in all of her baking, and it was just as indulgent! My attempt was interesting. I tried to craft a Dairy-free, Gluten-free, Sugar free, Vegan (if you replaced the honey) Brownie. It was interesting to say the least. But I basically just threw a few ‘healthy’ ingredients in a bowl and hoped for the best. So what did I expect. Two bananas, an avocado and some ground almonds later, one thing it definitely was is moist! A quick Google search will open up a world of possibilities for the angelic Avocado. I will continue my search to find a base for my delectable avocado butter-cream. But in the mean time, I suggest broadening the horizons of your palate. And of course, devouring more avocado! Note: I have two personal favourite avo combinations that I just love to lather on my vogels. These are Marmite + Avo, and Honey + Avo. Both are rather strange but have been consumed in our household for years, and must not be knocked til at least attempted.